Each evening we will be presenting performances by our teachers as well as specially invited guests for everyones entertainment and also dancing pleasure. It is possible to just attend these concerts on there own. There is no need to book in advance as tickets will be made available on the door. See each evening for prices. Performance times: 20.00 – 23.30. A chance to see and hear our teachers in action giving you the chance to get more familiar with the teachers if they are new to you. These performances will feature material which will be covered in each teachers workshops. Nawarra, Abdelkader Saadoun, Michelle Pender, Russell Harris, Carmen Jones, Stephi Briggs, Elvin Herrick, Sevilay Ataseven Turlington, Sacha Tremain, Asif Qu, Angela Noble, Bland Mahdi, Maren Lueg and Chas Whitaker. HAZIR will then play through to the end of the evening. Algerian-born Abdelkader Saadoun is a renowned master of RAI music – which originates from traditional Algerian music (Chaabi, Kabil, Gnawa and Chawia) and also encompasses Pop, Flamenco, Jazz, Funk, Rock, Reggae, Fusion, and Blues. 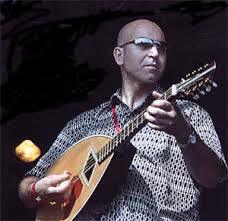 Based in London, he is a composer, singer song writer, educator and plays Oud, Mandola, Percussion and Drums. A formidable band leader with a great track record in bringing together musicians from diverse cultures to create dynamic live gigs which combine these different musical stylings to extraordinary effect. MAZAJ are predominately a trio of musicians who have a passionate interest in music from across the Middle East. Their repertoire is broad and varied ranging from classical instrumental compositions through to regional folk traditions and the ever popular Arabic and Turkish dance melodies of the 1940's - 1960's. They have been playing together since 2007 and have played at many notable venues and events. To see videos for either the Trio, Duo or Quartet please click on the YouTube playlists below. Please click on the "Playlist" icon to navigate and don't forget to set the video quality to the best possible as most of these videos are in HD. Named after a market square near Tahrir Square in Cairo, Souk Bab El Louk play a selection of classic songs from across the Middle East, North Africa, Turkey and the Balkans. Turkish singer Sevilay Turlington sings all Souk's Turkish compositions. To see videos for either SOUK BAB EL LOUK with or without singer, please click on the YouTube playlists below. Please click on the "Playlist" icon to navigate and don't forget to set the video quality to the best possible as most of these videos are in HD. Chai For Three are a band exploring Klezmer Arabic, Balkan and Mediterranean-region music and the links between them. David Mowat on trumpet, Knud Stuwe on oud and guitar and Simon Leach on percussion, guitar, oud and saz. They tell stories with their music and bring a jazz-influence. All very experienced Bristol-based musicians, they will bring some early excerpts from their current arts council funded project 'Longing Belonging and Balfour' which mingles Zionist British and Palestinian music and story to help make sense of some of the last 100 year history of Palestine from several points of view. The full show opens in Bristol on July 13th. Bland is a Kurdish musician from the North of Iraq, where he mastered Oud, Kemenche ( Spike Fiddle ) and the Duduk. He relocated to the UK and studied at several academic institutions and is currently completing his PhD in Music and Media. He has worked with many artists and musicians from different cultures expanding his knowledge regarding their art and music. He has performed at many prestigious venues and events including the 21st International Tartu Early Music Festival "Orient et Occident",Vilnius, Kaunas and Warsaw. He also had a residency alongside Maren Lueg at the Royal Shakespeare Company in Stratford upon Avon for their Arabian Nights show.